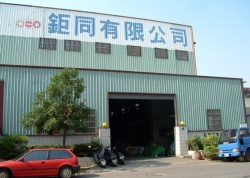 In 1999, we established Han Jiang Co., Ltd. in Zhejiang Province, China to meet growing demands. In 2005, we started to manufacture aluminum toolboxes. Apart from business activities, we also actively participate in social-welfare to be a socially-responsible entrepreneur. Copyright © 2019 钜同有限公司 All Rights Reserved.